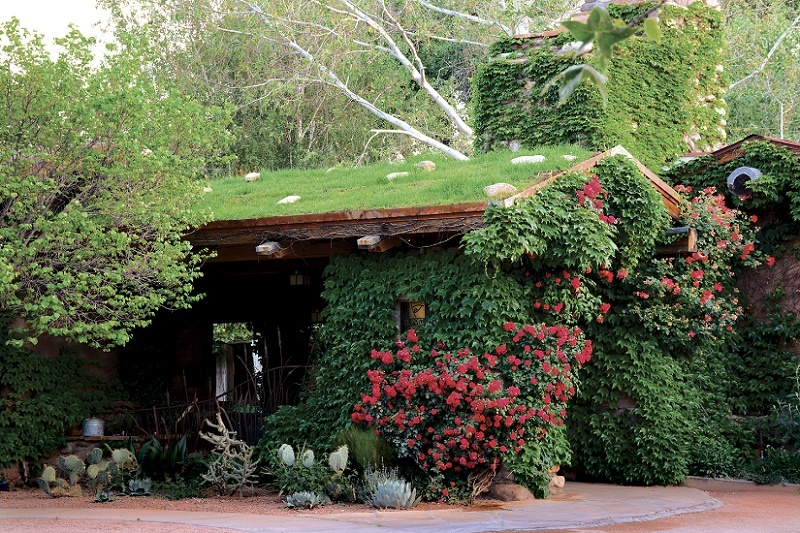 Sedona, Arizona has long been recognized as a mystical place ideal for soul-searching and revelation. 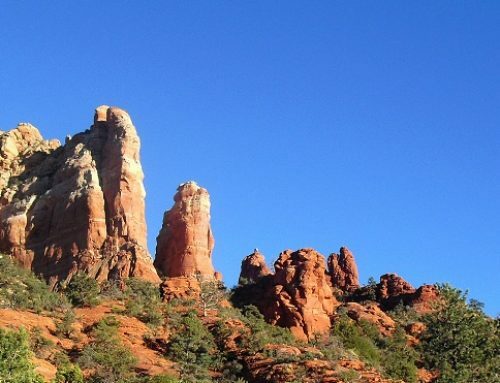 Visitors from all over the world are drawn to the awe-inspiring beauty of Sedona’s towering red rock formations, as well as the area’s profound sense of peace and multitude of vortexes—spots where the power of the earth’s energy is thought to elicit spiritual renewal. 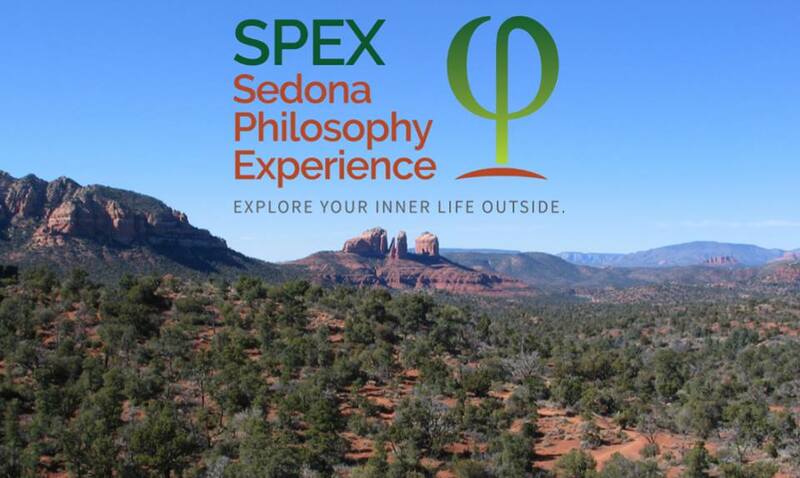 Sedona Philosophy Experience (SPEX) is an innovative outdoor exploration led by academics that know how to make philosophy fun and meaningful. Guests have an opportunity to ponder life’s great questions and engage in philosophical dialogue while they explore Sedona’s captivating natural landscape. 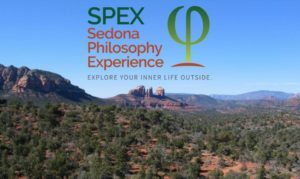 Offering a variety of philosopher-guided hikes, SPEX gives visitors the unique chance to contemplate the meaning in their lives while traversing the hiking trails of stunning Red Rock State Park. As a designated environmental education center, Red Rock State Park aligns with SPEX’s mission of advancing environmental and philosophical awareness. 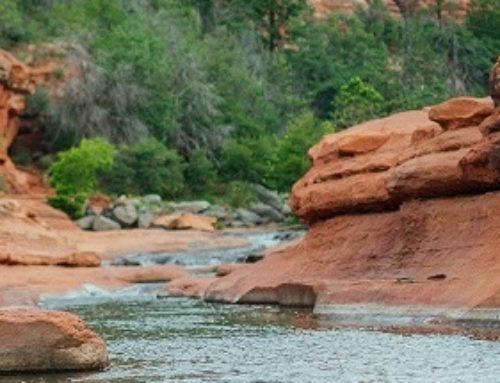 Additionally, the trails in Red Rock State Park—which are recognized as some of the most beautiful in the world—offer unparalleled access to the serenity of Oak Creek. Under the shade of the trees that line Oak Creek Canyon, the creekside Kisva (Hopi for “shady water”) Trail stays cool even in the heat of summer. The personalized nature of SPEX hikes distinguishes them from other guided hikes. “Many traditional guided hikes are transactional and information-oriented,” says Dr. Houchard. “Our hikes, on the other hand, are about the unique experiences of each of our participants.” As they explore Sedona’s breathtaking scenery, SPEX participants have the special chance to reflect on and talk about humanity’s place in nature, as well as their own experiences and what matters most in their lives. It creates an opportunity for individuals to heal, reflect, and explore. Though it may leave the red rocks behind, you can carry the insights from a SPEX hike wherever you go. SPEX offers group hikes at Red Rock State Park every Saturday from 8:30 a.m. – 11:00 a.m. Hikes are limited to eight people, so participants are encouraged to sign up online to reserve a spot. The cost is $110 per hiker. 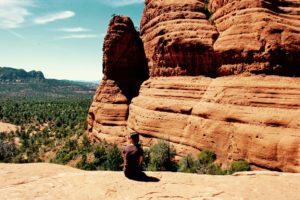 Private hikes ($135/person at a two-person minimum) may also be arranged by calling 928-274-8737 or emailing andrea@sedonaphilosophy.com. SPEX conducts special events throughout the year, such as for Earth Day. To learn more, visit http://sedonaphilosophy.com. 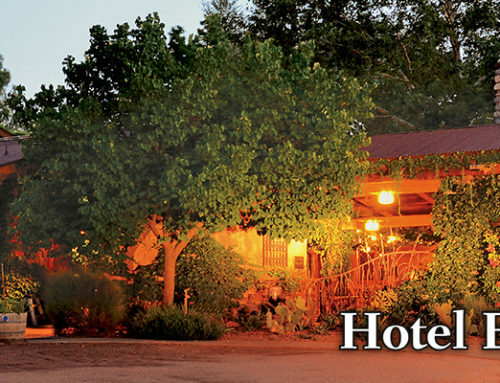 Recognized for the unique and transformative experiences that it offers, SPEX has gleaned support and recommendations from local businesses, including El Portal Sedona Hotel. 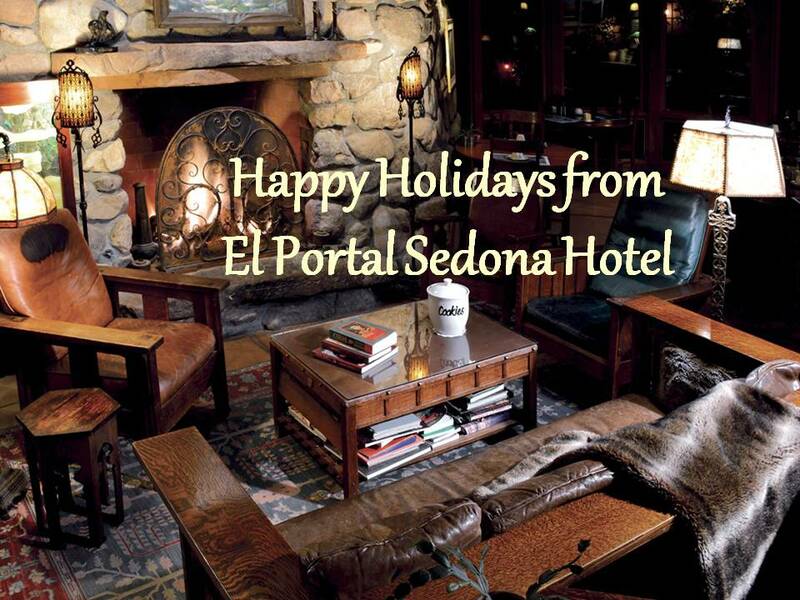 Located near the best of what Sedona has to offer, El Portal provides a peaceful and relaxing haven for guests participating in SPEX and the area’s numerous other activities. 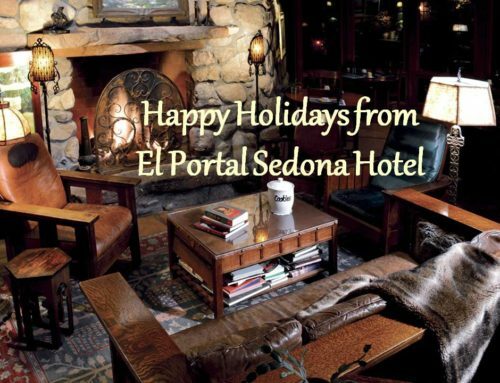 El Portal has been named a AAA Four Diamond Hotel, one of the top hotels in the Southwest by Condé Nast Traveler, and has received Trip Advisor’s Certificate of Excellence Award.